The newest banking sheriff will be aiming further to the right. Jeb Hensarling, a Republican from Texas, will probably be the next chairman of the agenda-setting U.S. House Financial Services Committee. 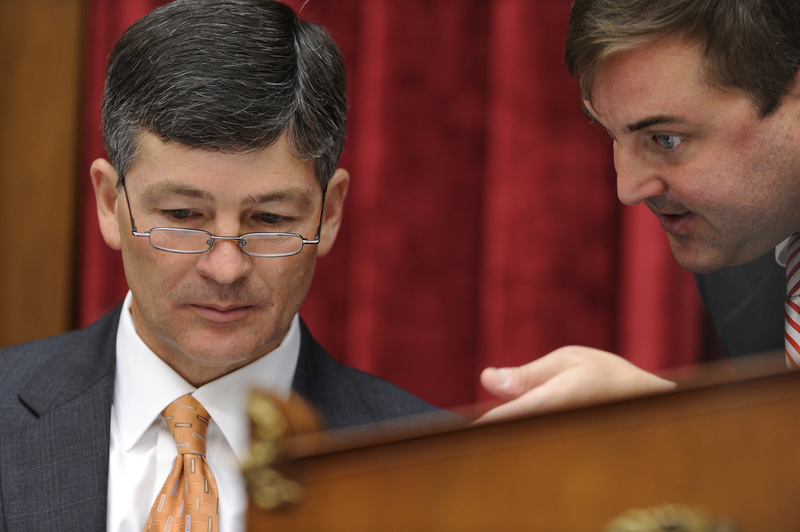 Like most GOP legislators, he wants to gut the Dodd-Frank financial reforms. Hensarling is also keen to get Uncle Sam out of the housing market and has supported refocusing the Federal Reserve. Especially following President Barack Obama’s re-election, though, such a bold agenda could be tough to advance. Hensarling studied economics and helped raise money for a hedge fund before going whole hog into politics. He’s already the committee’s vice chairman and served on the president’s Simpson-Bowles deficit commission. All that makes Hensarling more qualified than most for the chamber’s top finance job and puts him in pole position to succeed Spencer Bachus. It’s not hard to trace the roots of his deregulation bent. In the 1980s, Hensarling worked for Phil Gramm, the Texas Republican who led the charge to repeal rules that kept investment banking and commercial lending activities separate and sponsored legislation that came to be known as the “Enron loophole” because it left trading of credit default swaps largely unregulated. Not all of Hensarling’s laissez-faire attitude will be to Wall Street’s liking. He advocated for a 2008 proposal that would have stripped the U.S. central bank of its mandate to target full employment. That could lead to less of the easy money banks crave. What’s more, Hensarling’s top priority appears to be revoking the government charter granted to mortgage giants Fannie Mae and Freddie Mac, whose federally backed guarantees benefit the bottom lines of many banks. A Democratic president, a divided Congress and the more coalition-minded House will probably inhibit Hensarling from using the kind of forceful tactics Gramm did in the Senate. Even so, Hensarling sounds like a cowboy who will be actively trying to earn his spurs. Republicans retained control of the U.S. House of Representatives in the Nov. 6 election. In the next Congress, which convenes in January, some committees will get new leadership. GOP House Financial Services Committee Chairman Spencer Bachus is not expected to seek another term, so a new leader would need to be chosen from within the ranks. A leading candidate is Jeb Hensarling, the committee’s current vice chairman.